Pulmonary Embolism Can Be The Overlooked Cause Of Fainting Spells : Shots - Health News Blood clots are on the list of conditions that doctors are supposed to consider when figuring out unexplained fainting spells. An Italian study suggests physicians should be more alert to clots. A fainting episode, though usually no big deal, can sometimes be caused by a blood clot. Doctors in Italy decided to see how often these fainting spells were caused by blood clots in the lung, known as pulmonary embolisms. These clots usually dislodge from a leg and get jammed in the lung, with potentially deadly consequences. Blood clots are on the list of conditions that doctors are supposed to consider when figuring out the cause of a fainting spell, but physicians don't routinely do full work-ups to look for them. 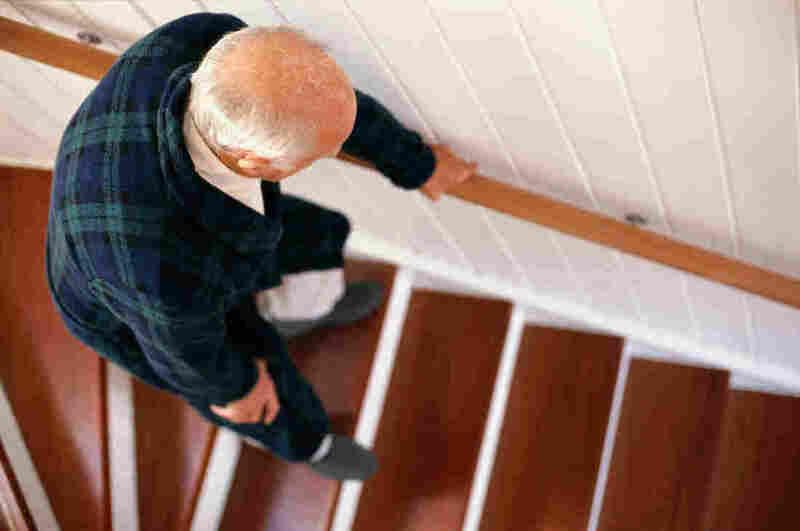 So Dr. Paolo Prandoni and colleagues asked doctors at 11 hospitals to take those extra steps. The doctors screened for blood clots among 560 elderly patients (average age 76). And they report in the latest issue of the New England Journal of Medicine that 17 percent of the patients with fainting spells also had blood clots in the lung. That's a surprisingly high figure — about 1 in 6 patients who had syncope serious enough to require hospitalization. Prandoni and his colleagues note that current international guidelines for evaluating unexplained fainting "pay little attention" to the possibility it could be caused by a blood clot in the lung. "Hence, when a patient is admitted to a hospital for an episode of syncope, pulmonary embolism — a potentially fatal disease that can be effectively treated — is rarely considered as a possible cause," they wrote. "It's a very important study," Dr. S. Adam Strickberger told Shots. A cardiologist at Inova hospitals in the Washington, D.C., area, Strickberger co-authored the American Heart Association's 2006 guidelines for evaluating syncope. Those make only passing reference to blood clots in the lung as a possible cause. "If you don't think of [a blood clot] all the time, you're going to miss it," he said. "And once you think about it, you have to rule it out." Doctors evaluating patients with fainting spells should add blood clots to the list, he said. That can be an expensive proposition. A blood test called a D-dimer assay can sometimes rule out a blood clot in the lung. But in the Italian study, that only eliminated about 60 percent of patients. The rest underwent an expensive CT scan of the blood vessels (called CTA). And that triggered chatter among emergency room doctors on Twitter that the number of CTA scans could go through the roof if doctors fully embrace the results from Italy. On Twitter, University of California, San Francisco cardiologist Ethan Weiss quipped: "I expect all patients with syncope will have CTA from this point and forever." A colleague in Texas cautioned that procedures in Italy for evaluating syncope differ from those in the United States, so the European findings might not translate directly.